Turn 10 Studios' Forza franchise has a new spinoff in the form of the free-to-play racer Forza Street. The new game is available now for PC users, but is targeting iOS and Android devices later this year. It's meant to be played "anytime, anywhere," and combines elements of what players love about the franchise with elements that make it suitable for on-the-go play when it releases in its mobile form further down the road. 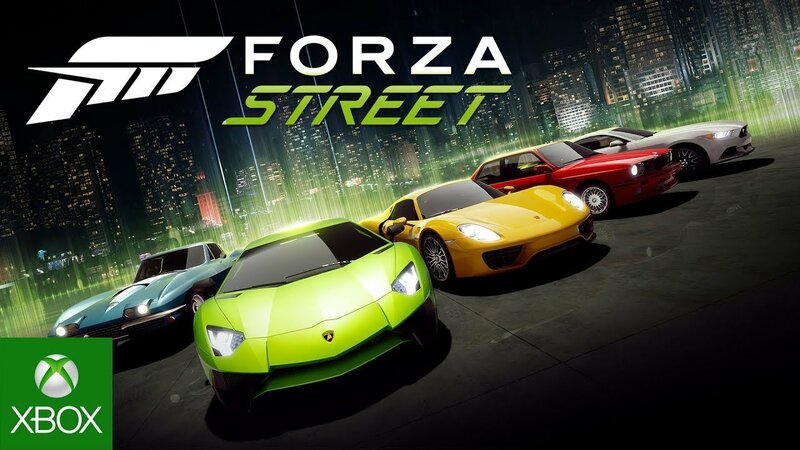 Forza Street was originally released on the Microsoft Store under the name Miami Street, and it focuses on a variety of simple races that form a story campaign for players to complete. It also features bite-sized racing for quick bursts of play. It doesn't have the complex racing controls of its console brethren, but it does let you burn up the streets like a speed demon, and that's what Forza is all about in the end, anyway, right? Here's the thing though: You don't have to steer or anything like that. There are plenty of cars to collect and subsequently upgrade, however, if that's more your thing than driving is. It's meant to be a simplistic take on the franchise meant to appeal to a wider audience, more in line to games like Real Racing or Asphalt. Keep in mind that it's free-to-play, however, so you might not get the satisfaction out of Forza Street you might get from the "real" console version. Right now, we're not sure when the mobile versions will debut, but we'll keep you posted as additional details emerge. In the meantime, let us know what you think of the free-to-play riff on Forza.